Hey friends! 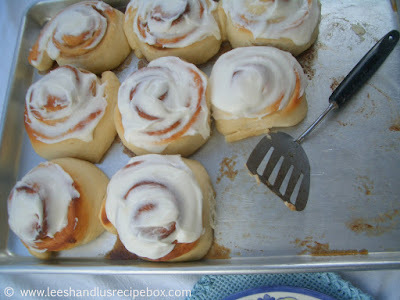 Today I am sharing a new favorite snack of mine. My kids, my husband and some of my extended family that I've made it for love it too. It's a keeper. Coconut Cinnamon Popcorn! The name alone is worth drooling over. I was introduced to this popcorn a few months ago by one of my friends who brought it to our ladies bunco night. Anyone else out there play bunco? It's a simple dice game that we play and we bring random gifts from our house or whatever for prizes. It's a fun reason to get together and chat. I am way more into the chatting and snacking then the game itself, but I enjoy it all. When I tasted the popcorn that night I had to know what was in it. My friend, Lacey, said it was just popped popcorn drizzled with coconut oil and sprinkled with cinnamon sugar. After hearing that there was no wonder why I loved it so much. Since then we've made this more times than I can count on two hands. So I've tweaked it and perfected it just the way I like it. And I even served it at a baby shower a week and a half ago, where I put a little banner saying, "ready to pop" above the bowl. It was a hit at the shower too. That night I drizzled it with melted white chocolate too, just to add an extra hint of yumminess, but it totally doesn't need it. If you are looking for a treat to share and don't want to add much sugar into the mix, this is just for you. It perfectly satisfies my sweet craving without me feeling like I have dove into something totally sinful! 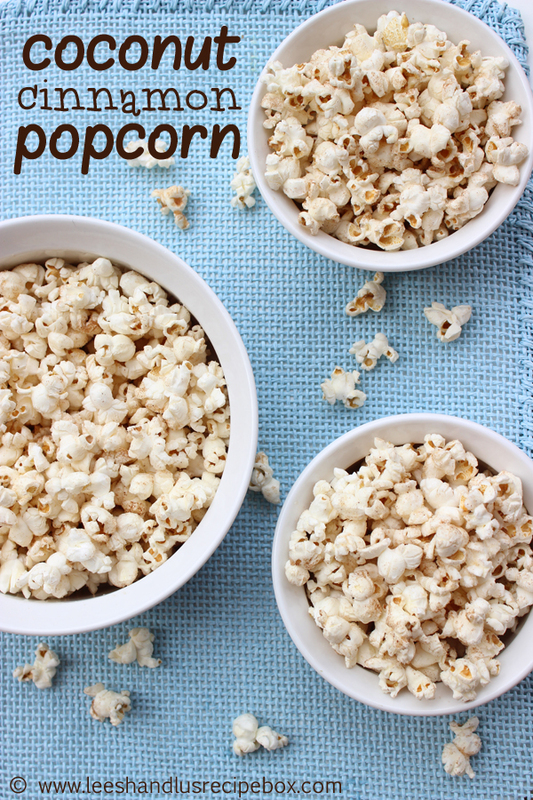 Place ½ cup popcorn kernels in an air popper (or pop them however you please). While it’s popping, melt 2 tablespoons of coconut oil in a small bowl or liquid measuring cup. Lightly drizzle the coconut oil (in a slow stream) over the popcorn as you toss the popcorn with a butter knife or spatula. Lightly sprinkle with salt (you don’t have to measure out ⅛ teaspoon). 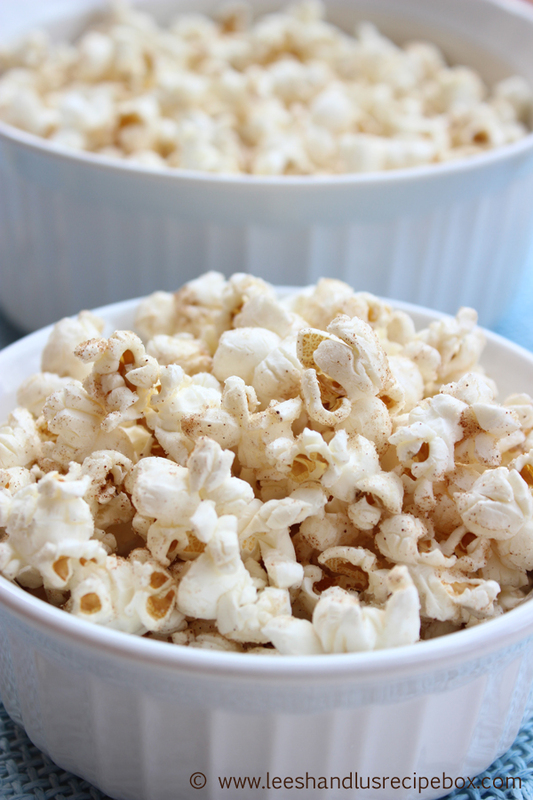 This popcorn isn’t mean to be salty, but a little salt with the cinnamon sugar blend makes it taste so much better. 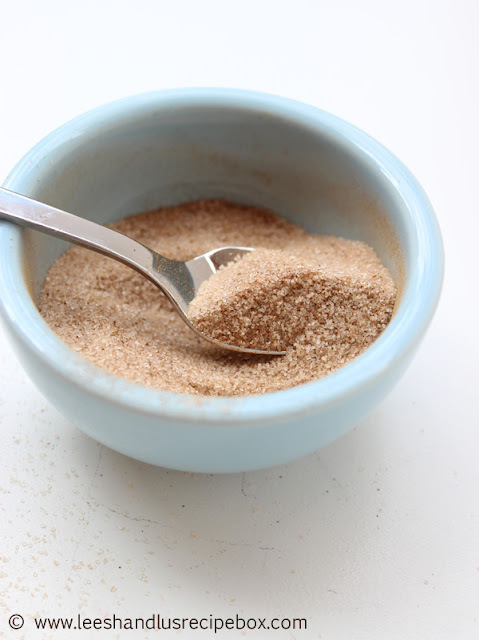 In a small bowl mix the sugar and cinnamon until well mixed. 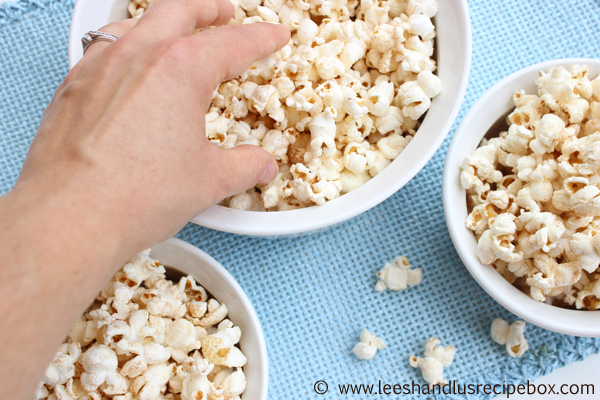 Sprinkle the cinnamon sugar mixture over the popcorn while tossing to coat evenly.